Raymond Russel won his first European Tour title to date in his first season on Tour, capturing the 1996 Air France Cannes Open. He learned the game under the tutelage of Bob Torrance, often making five hour round trips from his home in Prestonpans to Largs for coaching. Travelled Scotland selling fruit and veg as a youngster to finance his future career in golf. 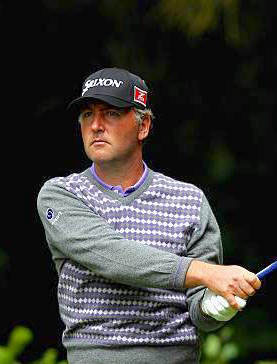 Raymond played more than ten years on the European Tour finishing twice in the top 20 in the final ranking. After a major shoulder operation and almost 4 years of the fairways, he started from scratch playing the Allianz Tour, then the Challenge Tour to finally get back on the main tour. Raymond is known as one of the best european golf experts advising some of the greatest brands like Nike.